"Hey nonny, nonny," the Bard's "greatest hits" are all here! 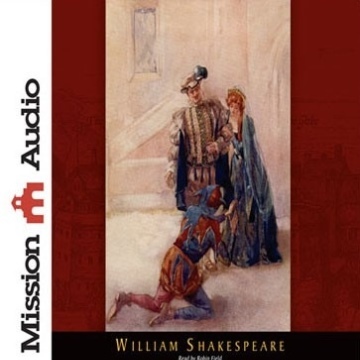 Performed with a lively full musical cast interspersed with engaging and informative introductory narrative, this imaginative recording uses song and sonnet from Shakespeare's comedies and tragedies to highlight his works, in his own words. Whether listeners are long-time Shakespearean aficionados or new students of the Englishman's genius, this educational and entertaining new recording is certain to delight! "Shakespeare's Greatest Hits", by William Shakespeare and read by Robin Field.